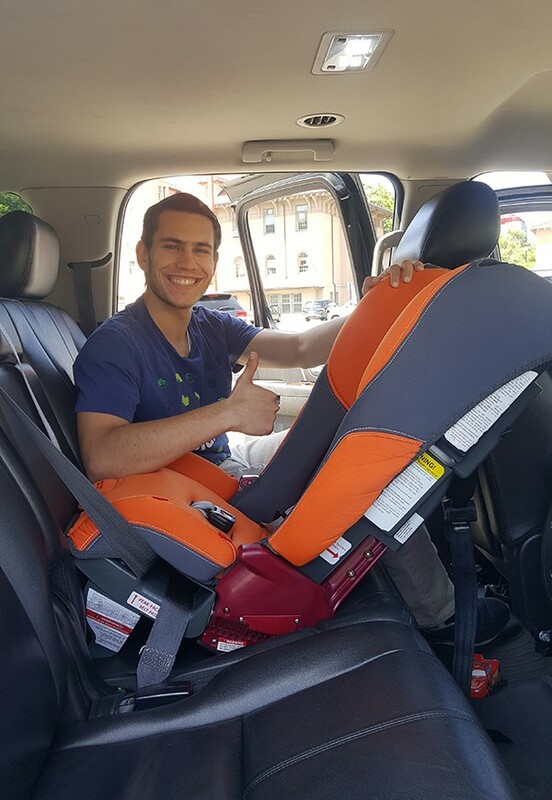 Kidmoto Technologies, is a rapidly growing company that provides secure car seat taxi transportation for parents with small children that are traveling to and from NYC airports. Where “safe family airport transportation” begins. 1. How do you reserve a car? A person can reserve a car either by downloading the Kidmoto App on ITunes or Google Play or on the Kidmoto website. See how easy it is to reserve a car through the Kidmoto App. 2. What types of car seats do you provide? Kidmoto drivers provide convertible car seats for infants at 5 pounds to 100 pounds. 3. Do you only provide travel to and from an airport? Kidmoto provides airport and cruise travel services with secured child safety seats. 4. How does this service differ from other car services? Kidmoto is a unique service catering to a unique segment of the population. We provide a solution to a real problem with family airport travel. Taxi’s and car services do not provide securely harnessed and installed car seats for children. 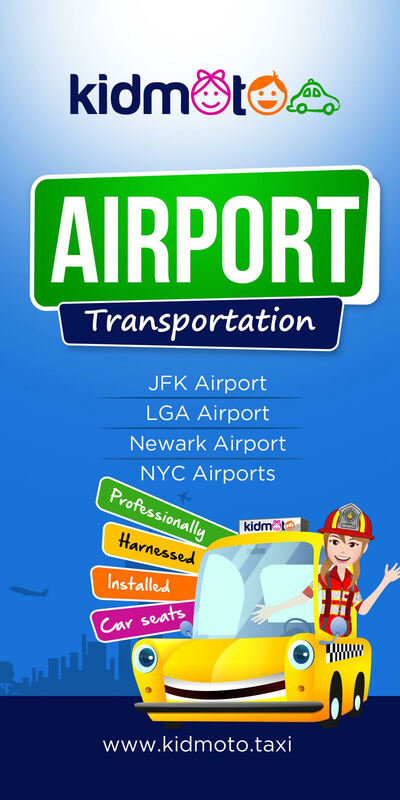 The Kidmoto app connects parents to a network of professionally trained drivers who provide secured child car seats for safe airport and cruise car transportation. Kidmoto provides convenience and safety and an overall fresh perspective on the day-to-day hardships that face traveling parents. Car services often have older car seats which are handled by many people and they are often throw around. Well guess what, car seats can break also. If someone drops a car seat on the floor, it can crack or break and therefore it can be null and void. The crack or break may not be visible but it affects the overall high level of crash protection for a child. Kidmoto is different because the Kidmoto drivers are careful not to drop a car seat. Car providers don’t offer secured car seats. 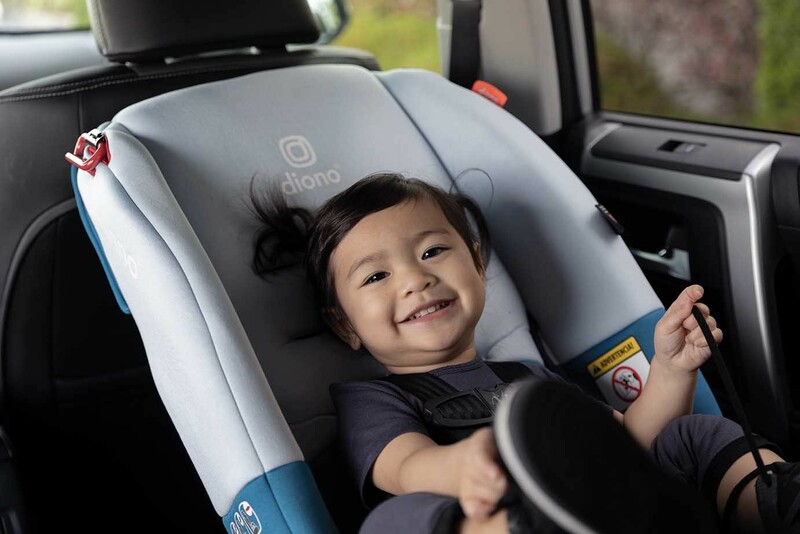 Passengers order the child safety seat option, but it comes uninstalled, thus, the passenger has to harness the straps and secure the car seat themselves. Visualize being a passenger and having to do that in the event that you’re during a rainy night with multiple kids and lots of luggage at an airport. Kidmoto is different because Kidmoto drivers show up with the vehicle seats already installed and ready to go. Kidmoto makes travel safe and convenient. Car services frequently send a wrong kind of automobile seats. 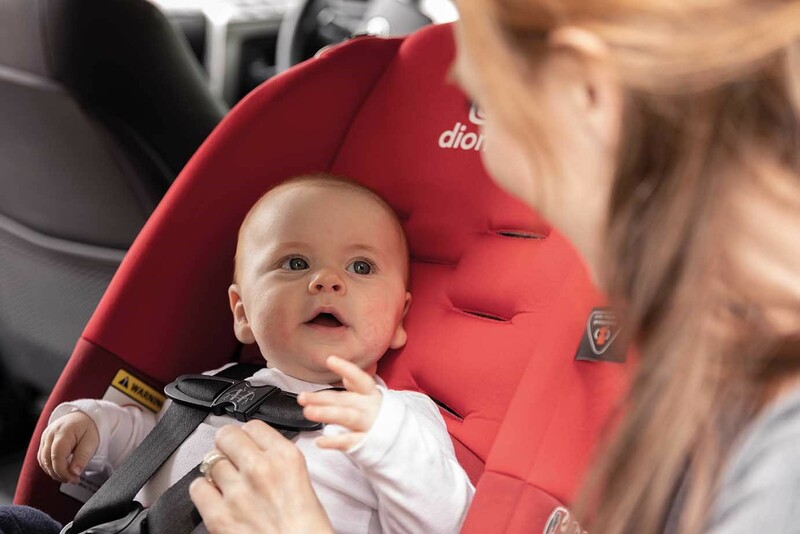 By way of example, a passenger can purchase a rear facing car seat and the driver might show up with a booster chair, or front facing car seat. It is a frightening situation. Kidmoto makes it safe and simple, motorists use fully convertible seats for babies to bigger kids in booster chair manners. Car services normally have a few car seats laying around that they use all year round, over and over for many years. The vehicle seats are dirty, not cleaned and oftentimes, they may be recalled for defects by the manufacturers. Kidmoto makes it simple, we, and on the other hand, provide new car seats and we’ve got a cleaning program set up in case the seats get dirty. Car providers normally have car seats for many years upon years and several of those car seats may be mill recalled by the manufacturers. Visualize being a parent hiring a car service provider and the driver brings you 6 year-old seat which may have been manufacturer recalled for defects. That’s not a good situation. On the other hand, Kidmoto makes it simple, we track safety recalls of each auto seat in the network. Rest assured, Kidmoto keeps track of all this information. If a seat is recalled, it is immediately taken off the road. Car providers frequently have older car seats that are handled by many individuals plus they’re frequently throw around like luggage, like luggage, car seats can also break. If somebody drops a child safety seat on the floor, it may crack or break and for that reason its safety value and deemed no good. The fracture or break might not be visible however it impacts the general level of crash protection for a kid. Kidmoto differs because Kidmoto drivers are cautious with car seats. Car services might not offer multiple child safety seats. Thinking about it, parents travel with multiple children. What if a passenger requests 3 car seats and the car service driver show up at airport arrivals with 2 car seats? That is not safe and it’s terrifying. Kidmoto differs because the Kidmoto drivers may supply up to 4 installed cars seats. 5. What is the cost for Kidmoto? Does it vary by car type, car seat type, and number of children using the car seats? Kidmoto is priced competitively with NYC automobile services which offer car seats. Remember, Kidmoto supplies the car seat and most importantly, the installation support. Car services provide large SUV’s and lower price sedans. Kidmoto supplies SUV’s and sedans, but we have changed the game in that we supply a revolutionary intermediary service with mid-priced minivans. Parents are now able to order minivans that are not as costly as larger suv’s that other companies supply. 6. How do you guarantee your car seats are installed correctly? Fantastic question, Kidmoto drivers have been trained to professionally harness and install car seats. For verification, there is the Inch Test to ensure that the car seat is secured. A properly installed car seat shouldn’t move more than one inch side to side or front to rear when pulled at the vehicle seat belts route with your off hand. The belt route is the pathway where the seat belt goes across to secure the seat into the locking mechanism on the vehicle. 7. Do you have plans to offer Kidmoto in other major cities? Surely we must try, and with your support, we can. Kidmoto is revolutionary, but we want our customers and followers to help us become a national provider. Please help us spread the word, child safety is important. Do what you can because our technology and service is cutting edge and revolutionary. 8. Why is Kidmoto SO amazing for traveling parents? Kidmoto is different and revolutionary because the Kidmoto App is a solution for parents which gives them access to a secure car seat, automobile transport and peace of mind when traveling in cars to airports or cruise lines. 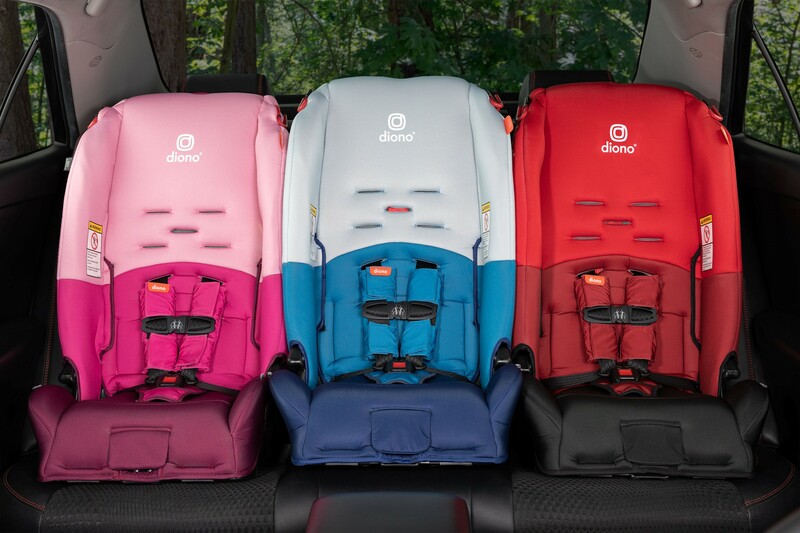 The freshest updates on Children Car Seats, Safety & the Future of Transportation are now up on our website. Back to School Fun With Bulls i Toy! Thank you, Anne and everyone at the fabulous Momee Friends of Long Island company. We appreciate it and send lots of Pizza love from Pizza Queens NYC. Many thanks for such a fabulous article. Child car seat safety is important and often swept under the table. Children need to be restrained in secured car seats while in cars. We can now shine the spotlight and change things.